Wherever you are, you deserve nothing but the best builders to build your dreams into reality, and there is only one company who can do that for you. It’s none other than, House Traders. House Traders is a subsidiary based in Lisbon, Portugal of one of the most recognised construction companies in the United Kingdom. (http://www.plymouthbuild.co.uk) We have proven to be the most reliable builders in Great Britain. 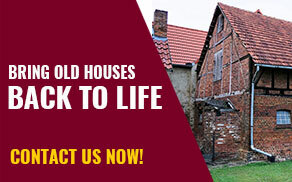 We have constructed thousands of high quality premium houses, renovations and extensions. We have been in the industry for over four decades, and we keep on growing. Being successful in the construction sector in the United Kingdom, has given us an opportunity for a subsidiary based in here in Portugal. We want more people to experience the world-class quality service that only House Traders and Plymouth Builders can provide.